Created by British artist Michael Landy, this exhibition will survey the rich history of Kaldor Public Art Projects using artworks, archival materials and reconstructions of past projects. From Christo and Jeanne-Claude’s Wrapped coast (1969) to Jeff Koons’ Puppy (1995), Marina Abramovic’s In residence (2015), Jonathan Jones’ barrangal dyara (skin and bones) (2016) and numerous other projects, it revisits some of the most iconic large-scale artworks to have been presented in Australia. 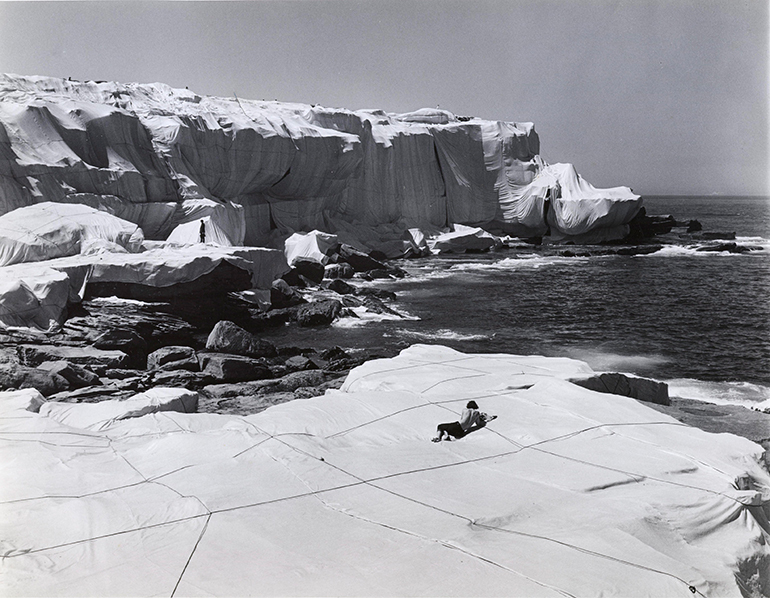 Kaldor Public Art Projects launched in 1969 with the presentation of Christo and Jeanne-Claude’s ground-breaking Wrapped coast – one million square feet , Little Bay, Sydney and has since presented over 30 public art projects across Australia. The first organisation of its type anywhere in the world, Kaldor Public Art Projects has helped redefine the boundaries for public art in the 21st century and has had a profound influence on the way that Australians have experienced contemporary art. A collaboration between Kaldor Public Art Projects and the Art Gallery of NSW.